Many hardware options and methods exist for hanging different artworks. The following hardware and hanging examples are meant as a guideline for those wanting to hang their own artwork, however, please keep in mind that every individual project is different. If in doubt, it is best to contact a professional. Please find a list of Vancouver art installers at the bottom of this post. Measure the height of your work. Make a mark 1/3 from the top of the work. Use an awl to start a hole where you want to place the screw. Screw the d-rings into place on both sides of the work, facing the peak of the “d” upwards. 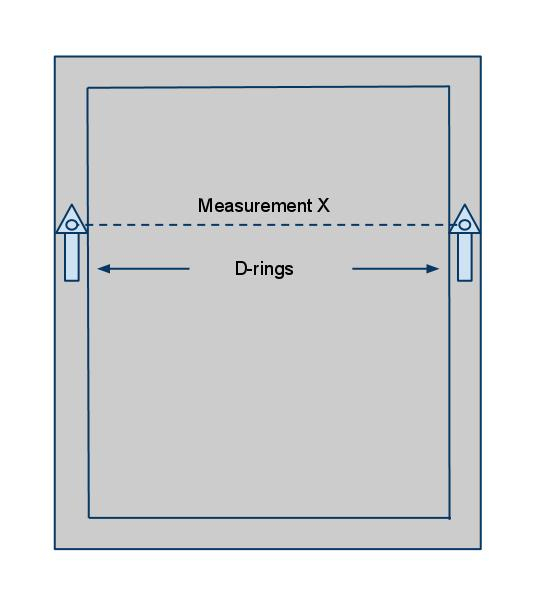 Measure the distance between the centre of each “d” (measurement x). Using a level, mark two dots on your wall the same distance apart as measurement x. Depending on the weight of your artwork, either nail in a hook (for lighter artwork) or drill in a screw where you have marked the wall. 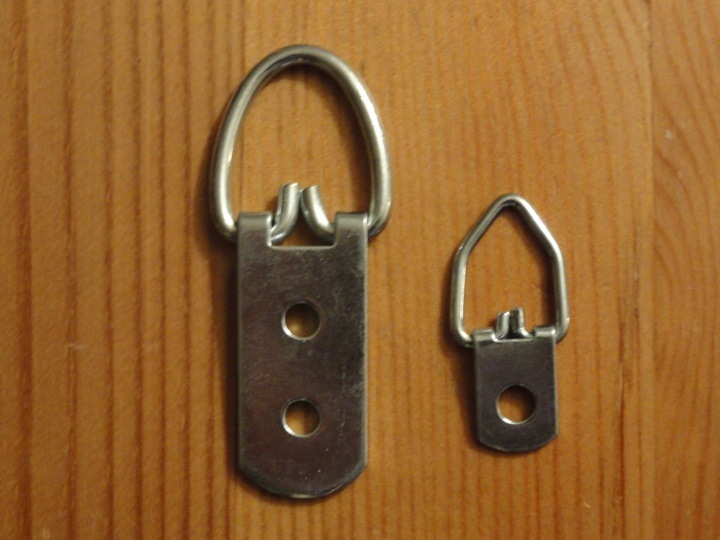 Hang the d-rings onto the hooks or screws, and use a level to check straightness. Proper hanging hooks purchased from a framer or art supply store will be rated with what weight it will hold: 10lb, 20lb, etc. If in doubt, a screw is generally a more sturdy method. If you are screwing into drywall, make sure to purchase drywall screws. If the work is especially heavy, use drywall studs. For more information about how to hang artwork at a specific height, please read the post How to Hang Artwork. Cleats can be made by beveling wood on a 45 degree angle and cutting to size. 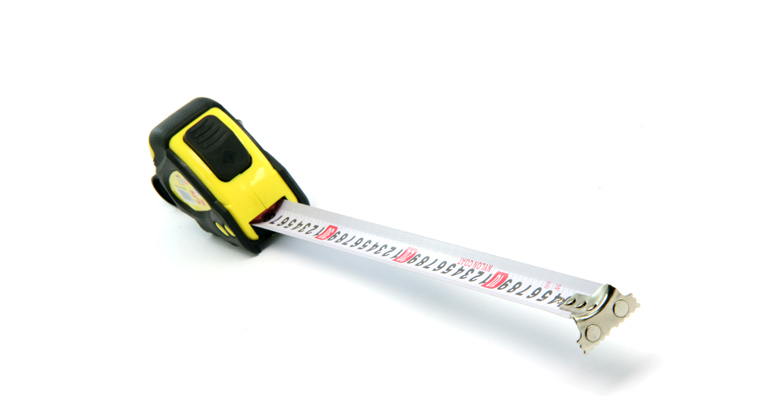 Many hardware stores will cut custom sizes for you. In Vancouver, Windsor Plywood is a good place to go for this. For further information on cleats, check out this article on the website “New To Woodworking”. To hang an artwork on a cleat, the wall-cleat simply needs to be affixed to the wall with screws. The artwork can then be lifted above the cleat, and slid downwards so that both sides of the cleat match. 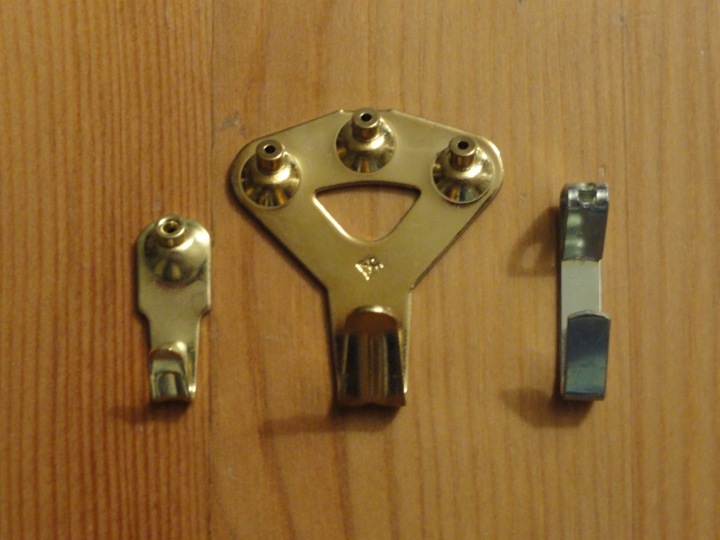 Clips and pins are often used to hang unframed photographs or works on paper. Fold-back or binder clips are well-suited to this method, and the fewest necessary to secure the artwork is better to avoid possible damage to the paper. T-pins can be easily inserted in the wall to hang the tops of the fold-back clips from. If you have a large and / or expensive artwork that you are not sure how to hang, it is always a good idea to call a professional art installer. You can always call for quotes first, but typically installers charge around $100 per hour, plus more if more than one person or special equipment is needed. If you have any questions, please feel free to leave a comment below or email thepracticalartworld@gmail.com, and I will do my best to answer or point you in the right direction to get an answer. Copyright The Practical Art World, 2011. Great items fromm you, man. I’ve remember your stuff prior to and you are just extremely great. iit sensible. I cant wait to read far more from you. This is really a wonderful site.